There can be many ways of getting the right pronunciation. But one common thing among them all is consistency. You have to keep practicing till you get it right. Record Yourself: Record the words with short and long vowels in your own voice. Make your teacher or an English expert listen to the recording. Ask him/her to correct your pronunciation. Do it again after correcting and get it checked. You can also verify your recording by listening to the audio pronunciation keys on dictionary.com. One at a time: Try to speak slowly whenever you speak in English. Give yourself enough time to pronounce each word correctly. Remember, accuracy is your goal right now not speed. Loud reading: Do 20-30 minutes of reading aloud every day. Whenever you find some words difficult to pronounce, open the audio pronunciation key of the dictionary and then practice. Do this regularly every day for at least one month. Learn songs: Another sure-shot way to correct your pronunciation is to learn a few English songs and sing along with the audio. This will give you clues of several words and their pronunciation. Listen a lot: Whenever you hear other people who know English, lend a listening ear. The best way to correct pronunciation is to listen to other people and copy their pronunciation. Don’t copy accent: Your goal is to pronounce English words correctly not to copy anybody’s accent. Try to be original but correct. Blindly copying the accent does not help in pronunciation. Tense refers to time. When we speak, we usually speak in a time frame. This time frame is called Tense. In school, we studied a Tenses Table where we had the various forms of verbs according to tenses. However, what is missing in that approach is the significance of each tense. The best approach to study tenses is to understand which tense is used when i.e the necessity of each tense. You should study tenses by creating situations. Given below are three situations to help you understand the three basic tenses: Simple Present, Simple Past and Simple Future. Your Daily Routine and General Truths: Write down your daily routine, your likes, and dislikes, your interests and hobbies. Now write down some general truths such as The Sun rises in the East. Notice that all these things fall under the one-time frame, which is Simple Present Tense. Yesterday: What did you do yesterday? This is past tense. Make a list of things that you did last week. As you make sentences, you will realize you are making sentences in the Simple Past Tense. Future plans: What are your plans for the next few years? Or this year? List down your plans to learn Simple Future Tense. Once you have written down the above things, practice saying them aloud. Do a good rehearsal at home first. Now go out and find a friend and share with him/her about your daily routine, your likes, and dislikes. Then share what you did yesterday and what you will do tomorrow. At the end of this conversation, you would learn three basic…. three basic tenses of the English language. In the last installment of this series, you learned how to learn the three basic tenses in the most practical way. In this blog, you will learn the importance of continuous tenses. All perfect continuous tenses have very specific time-frames mentioned. All simple continuous tenses do not have any specific time-frame. However, for beginners, it is advisable to not touch Future Perfect Continuous Tense since it can be very confusing and is rarely used. Welcome to the series on how to study tenses. This is the last installment of the series intended to teach about studying the various perfect tenses. The Past Perfect Tense should always be studied with Simple Past Tense. Understand that you will not need a past perfect tense unless there is another past action involved. For instance, you don’t need to say- I had gone to the market. You can simply say: I went to the market. An action that happened in the past but still affects your present. I will have completed my degree by 2015. She will have written the novel at that time. However, you will have to remember the forms and helping verbs used in each of these tenses. One common thing among all the perfect tenses is that the verb is always used in the third form. The key to learning and speaking in English is to get creative. The more interesting your ways are, the more likely you are to follow them. We give you five coolest ways to improve your English. Call a Center: Call your mobile company service provider and opt for English language instructions. Follow instructions and get a personal executive on the line. But prepare on advance. Invent a problem about a pre or postpaid connection and rehearse well. Now speak to the executive and share with him your problem. You can do this almost every day to get the most practical English speaking exposure. Chat online: Go to chat-rooms of Google or Facebook and start chatting in English with a complete stranger. If you build a good rapport with him/her, you can frankly ask the other person to correct your English. 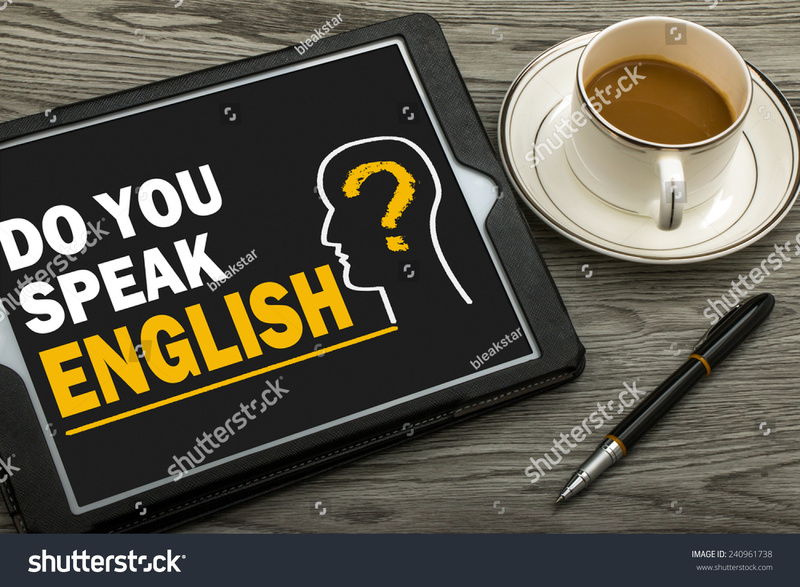 If you do this daily, you are likely to come across someone who is good at English and is willing to help. Learn English Songs: Go to Youtube and look for English songs with lyrics. Most likely the ones with lyrics have the words displayed on the screen. Sing along. Get the WhatWord app: Download this app on your phone or computer. It is called WhatWord that displays four pictures to guess each word. The words are related to food, travel, lifestyle etc and are a great way to build vocabulary. Watch National Geographic: This channel is still in English, unlike the Discovery. So you can get plenty of English listening. Choose a program that interests you and follows it religiously.